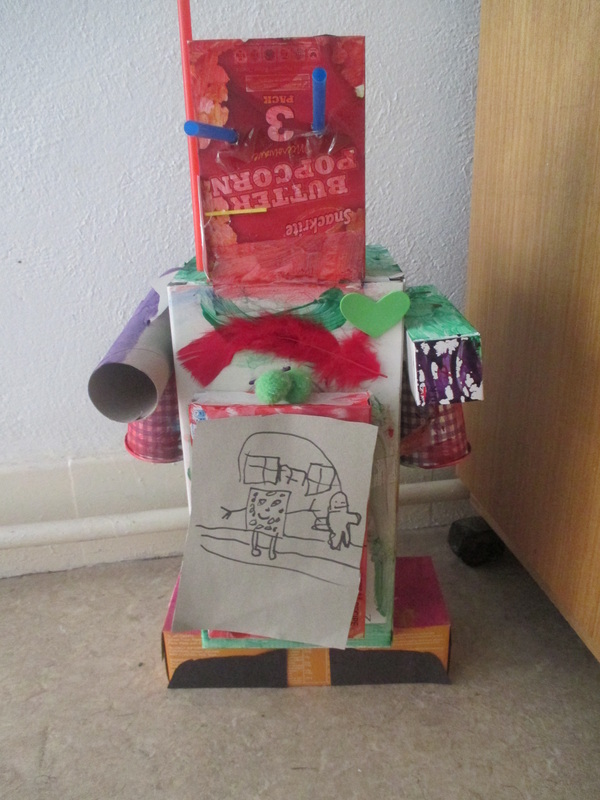 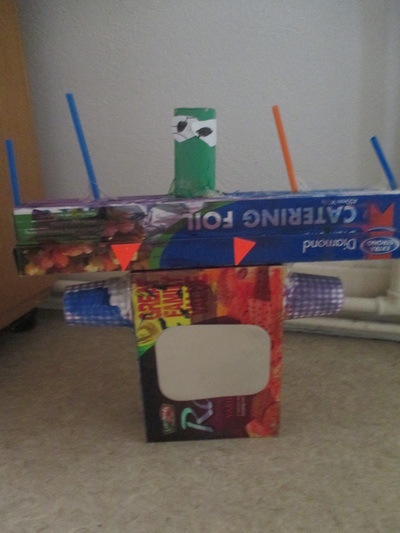 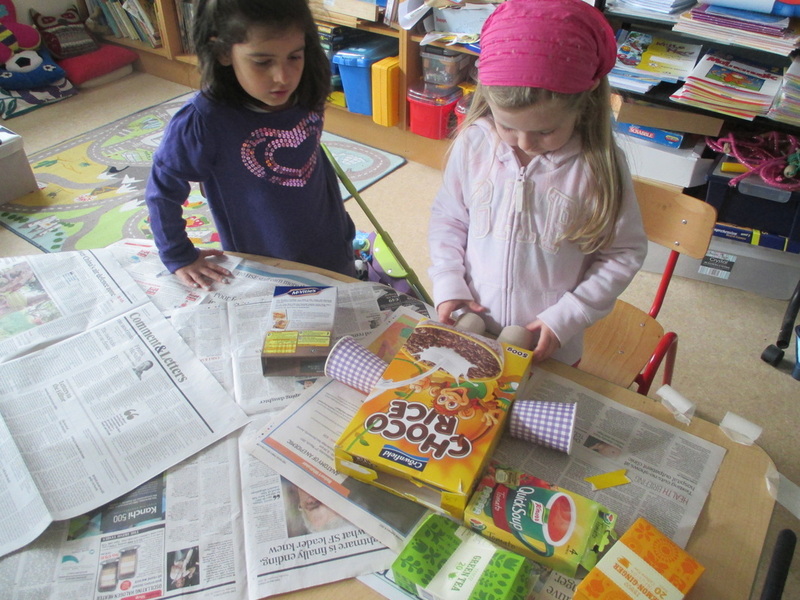 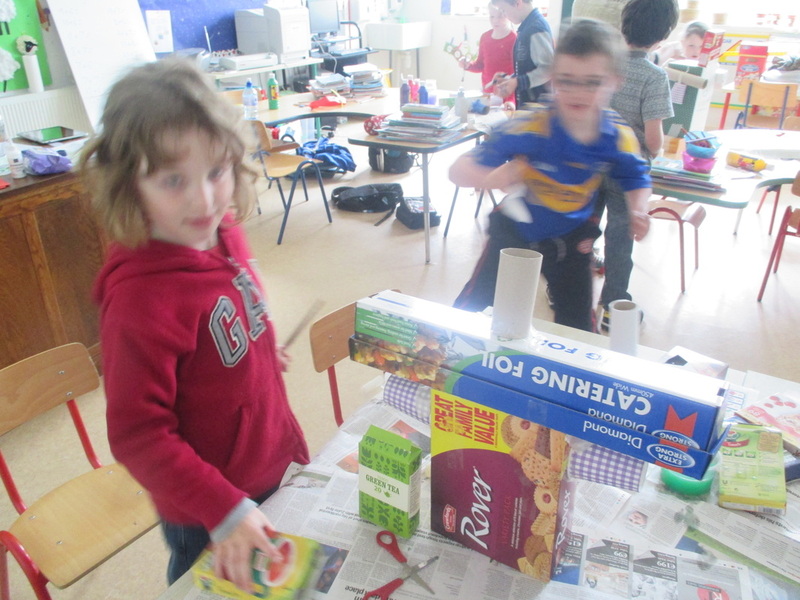 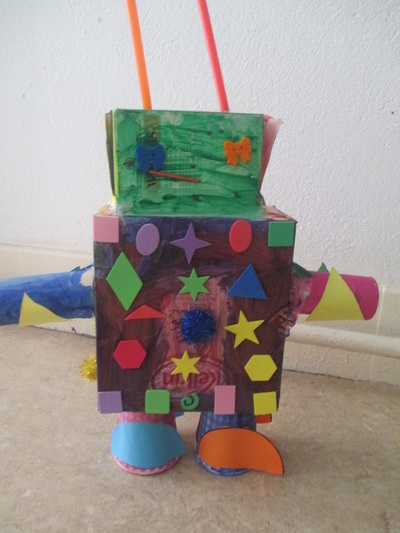 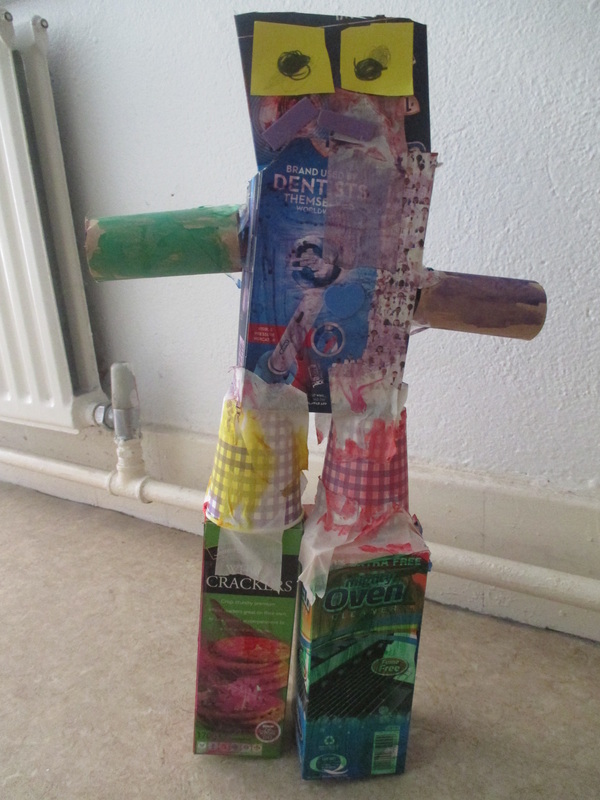 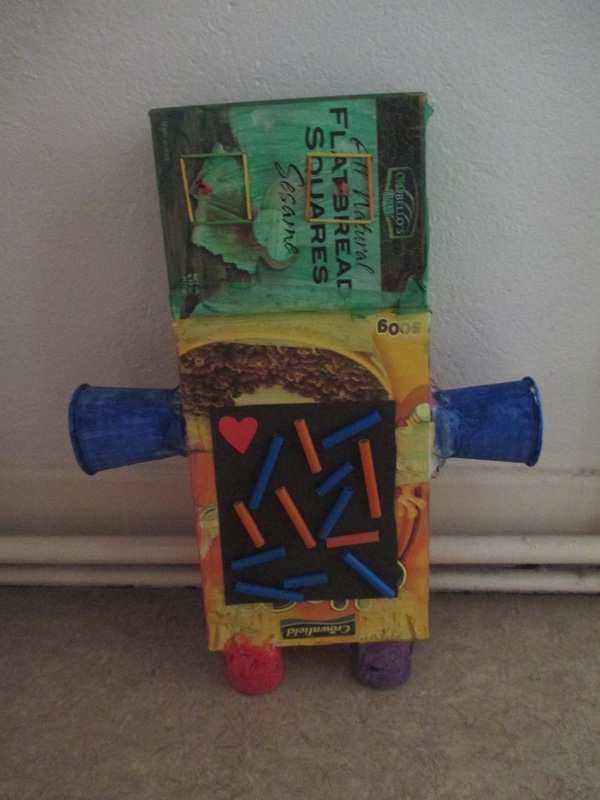 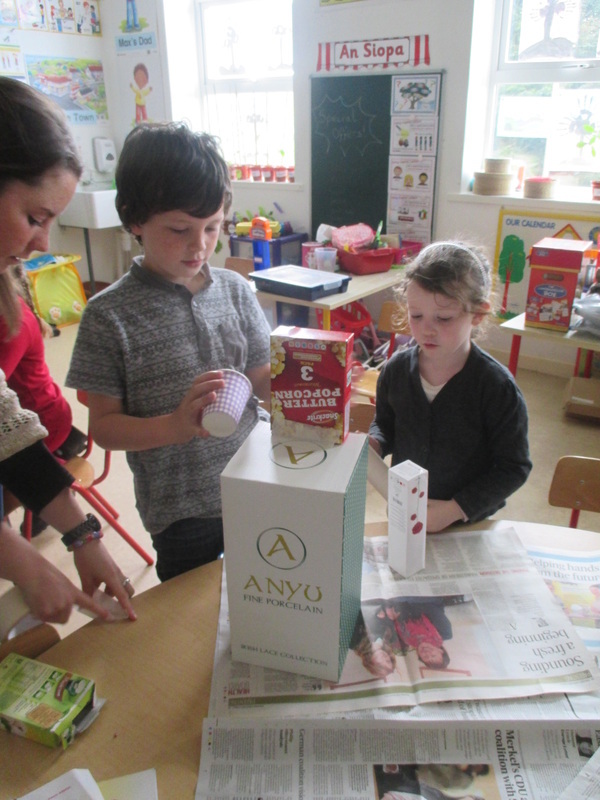 The junior classes are learning about recycling at the moment so we decided we'd recycle boxes and packaging by making robots out of them! 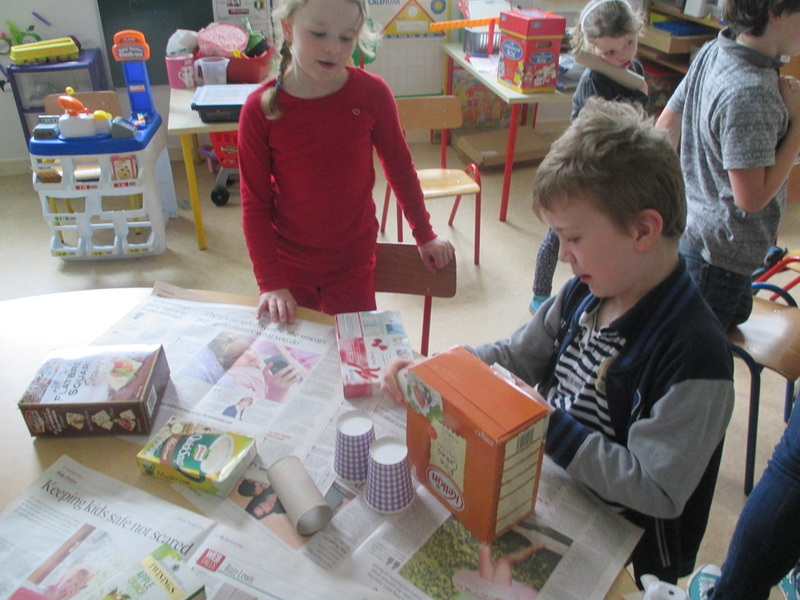 Here's what we made! 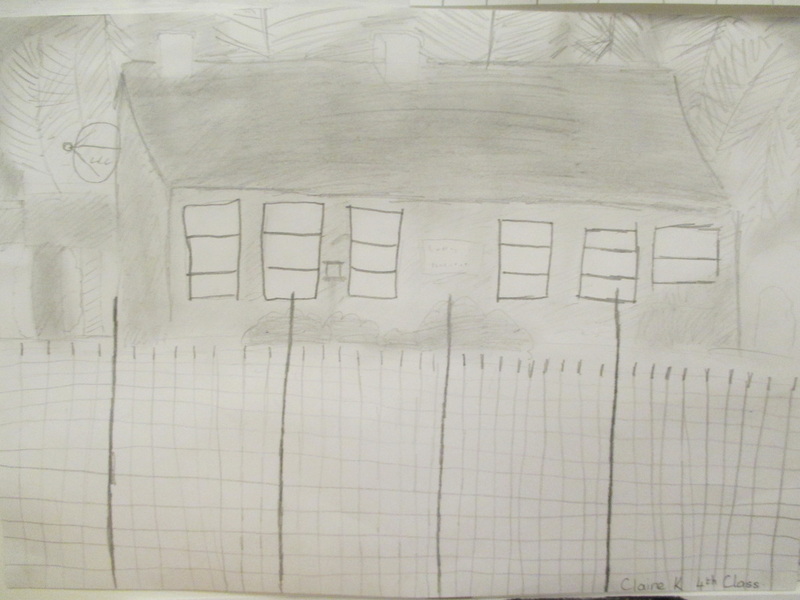 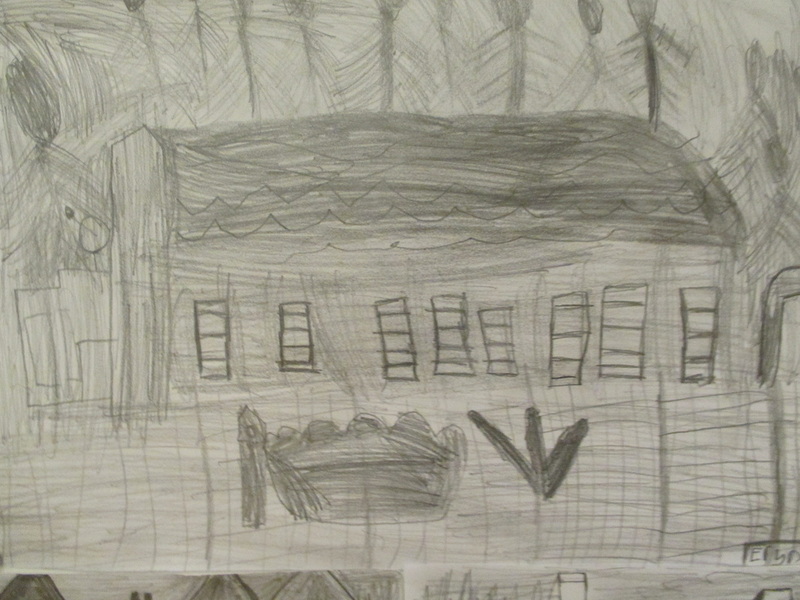 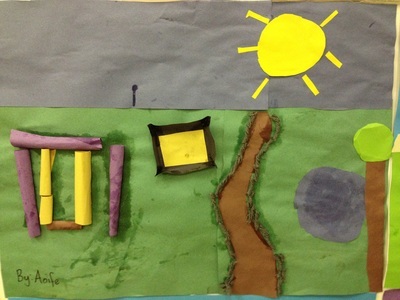 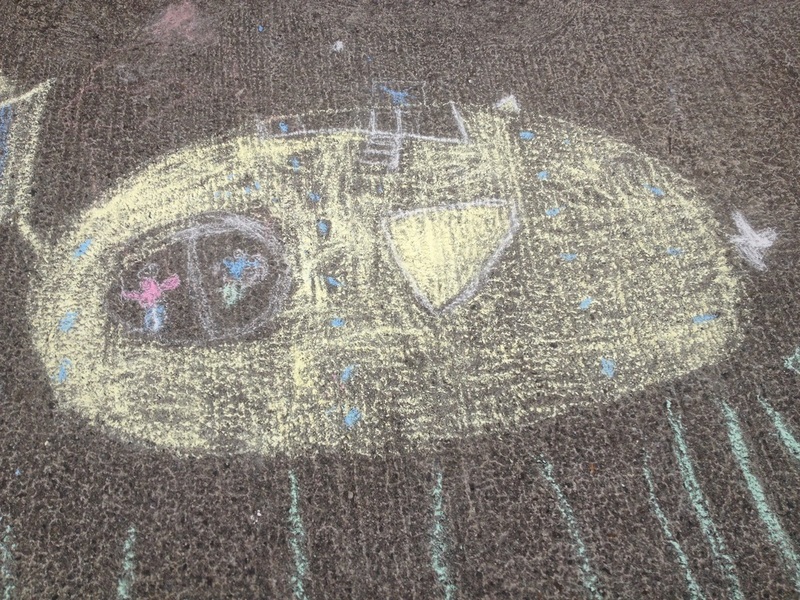 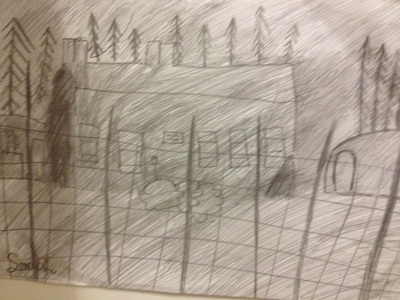 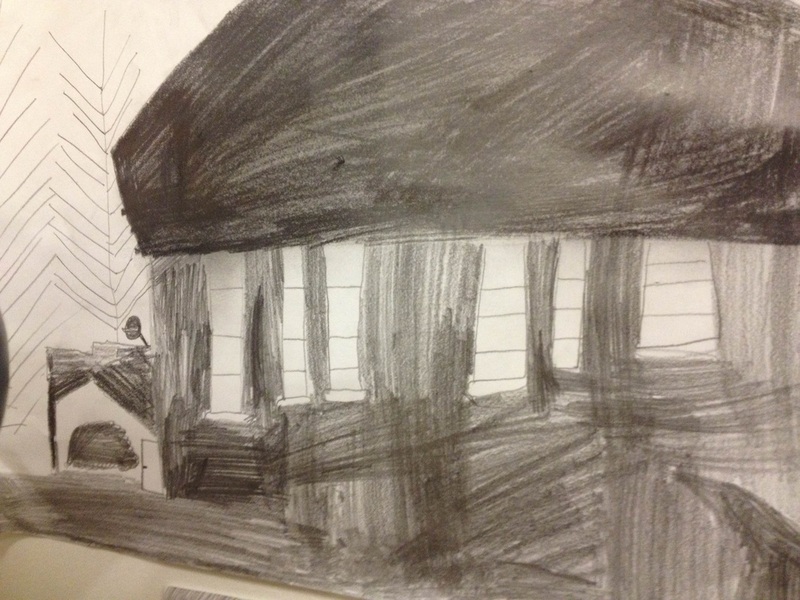 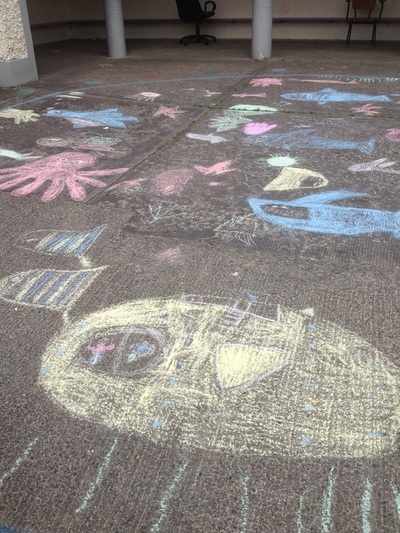 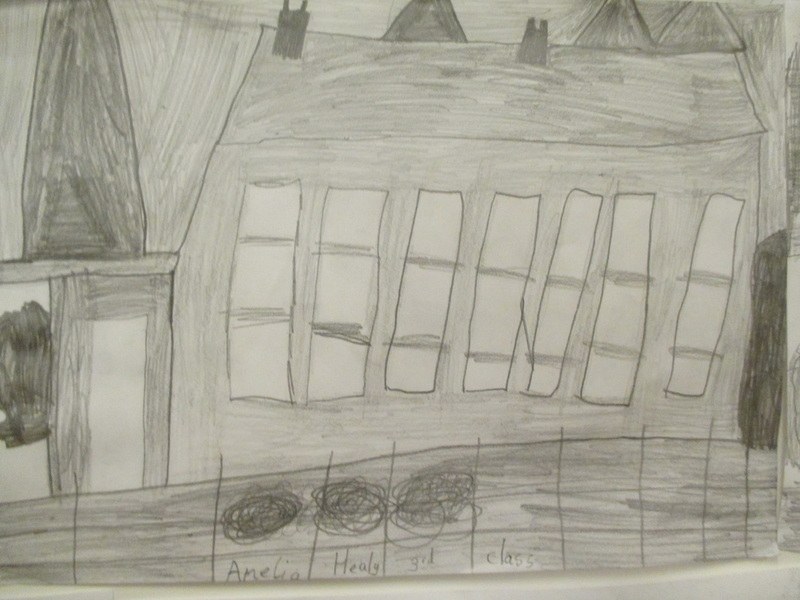 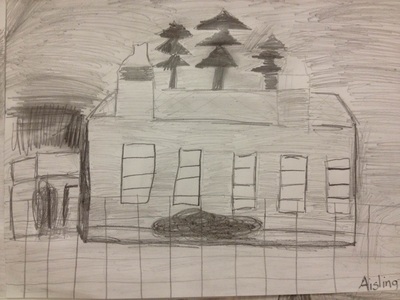 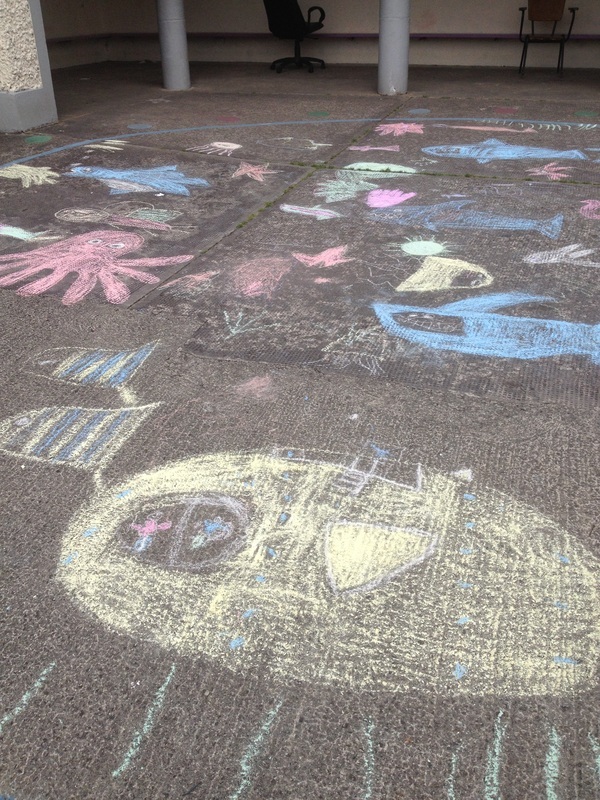 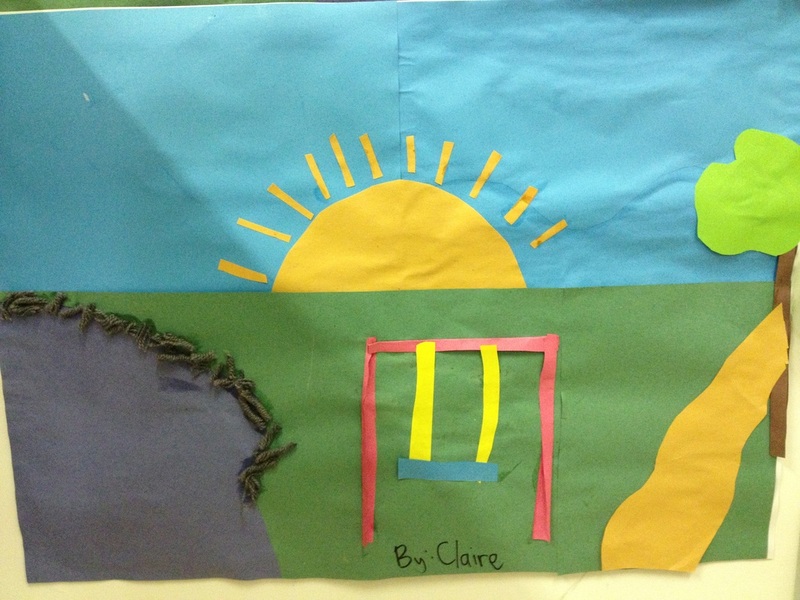 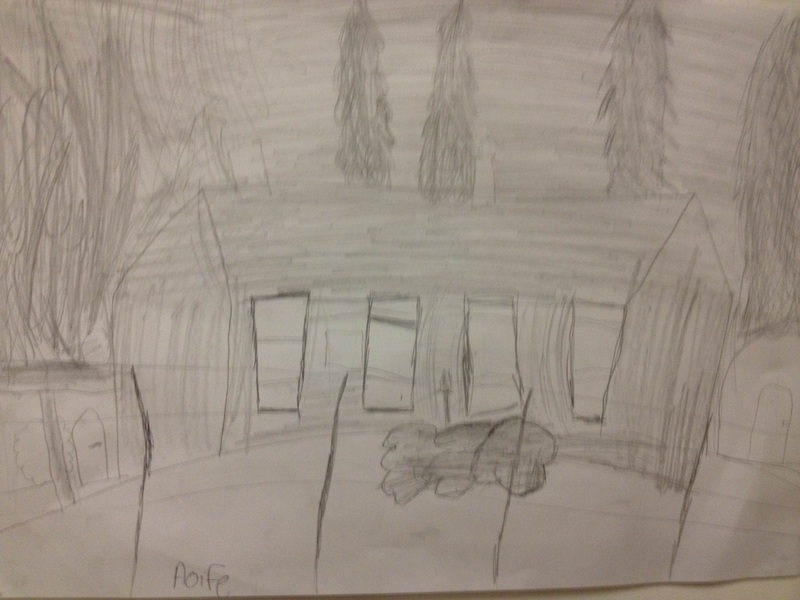 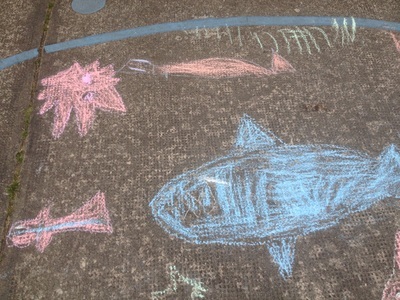 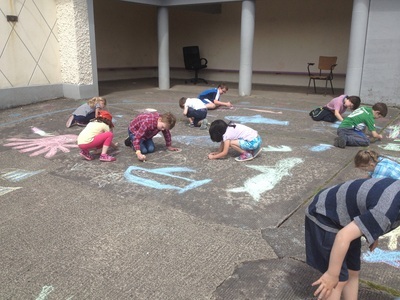 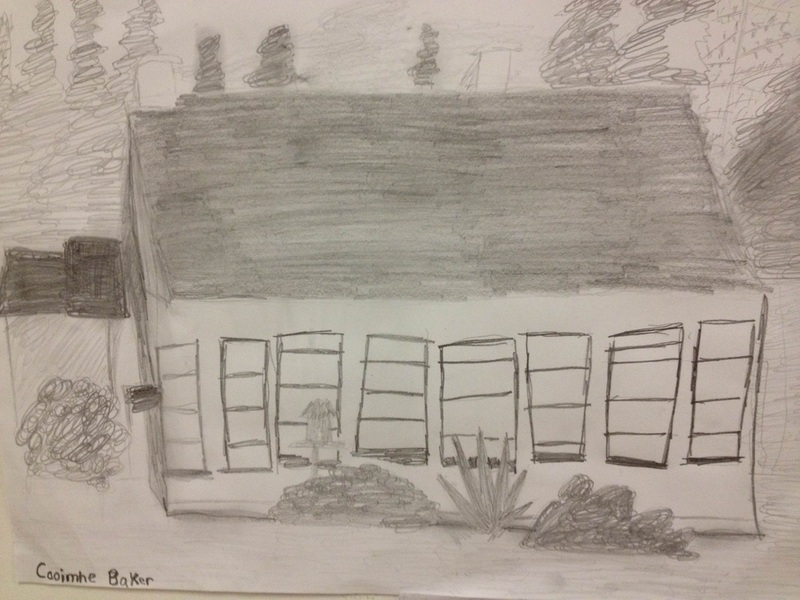 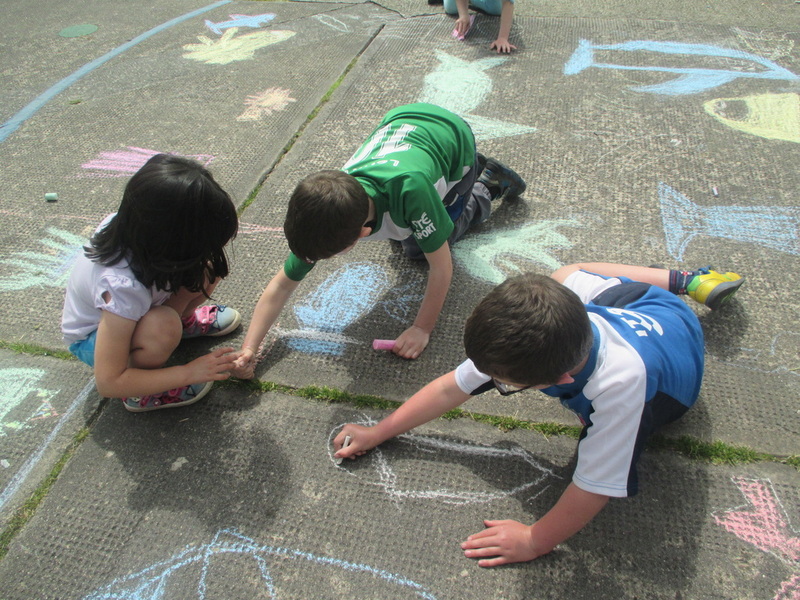 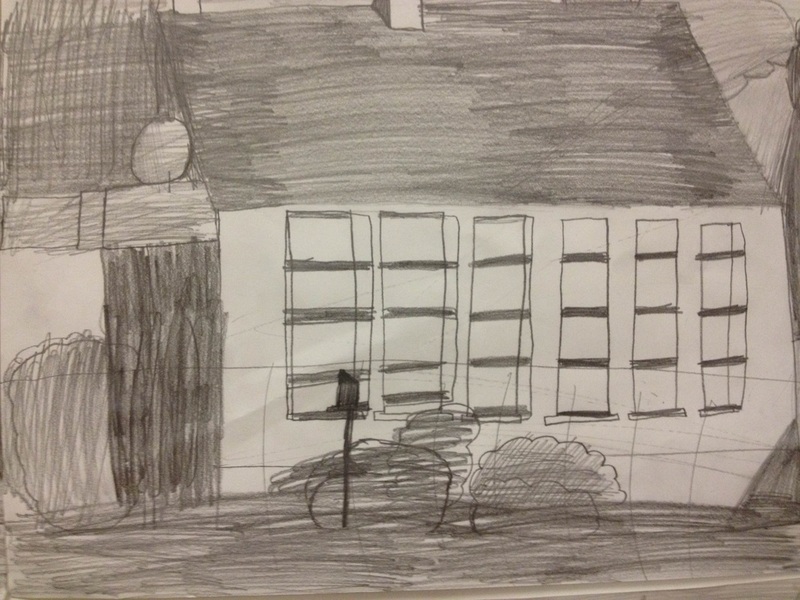 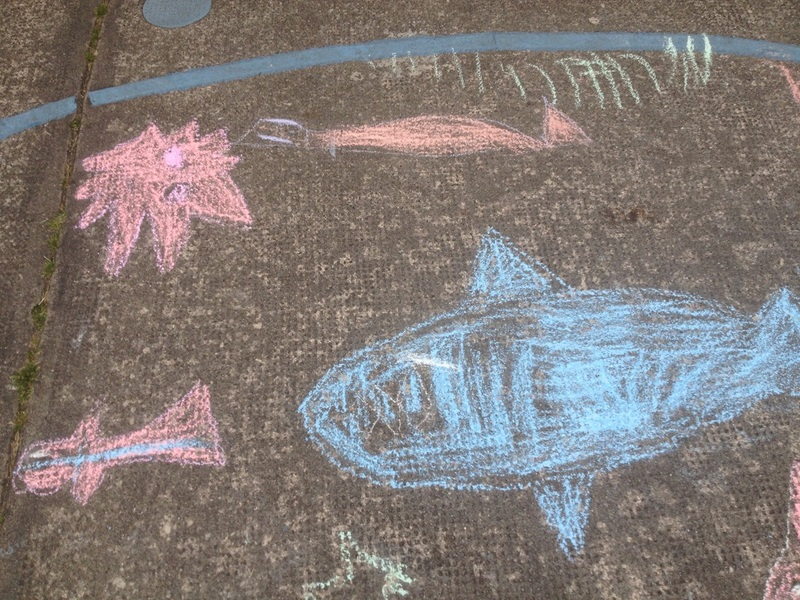 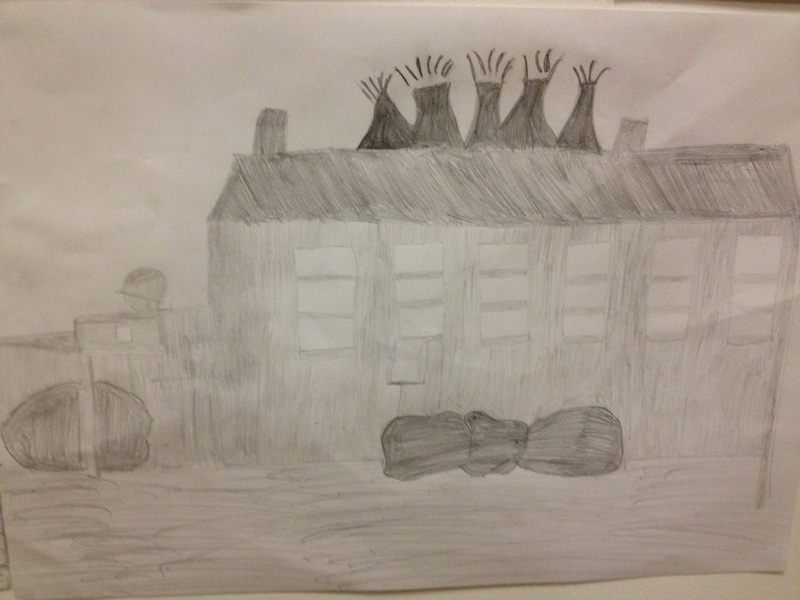 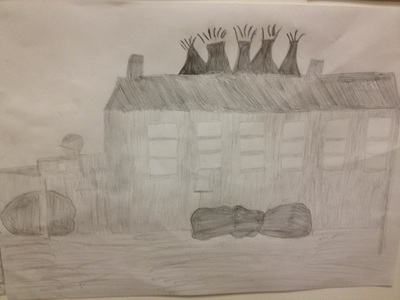 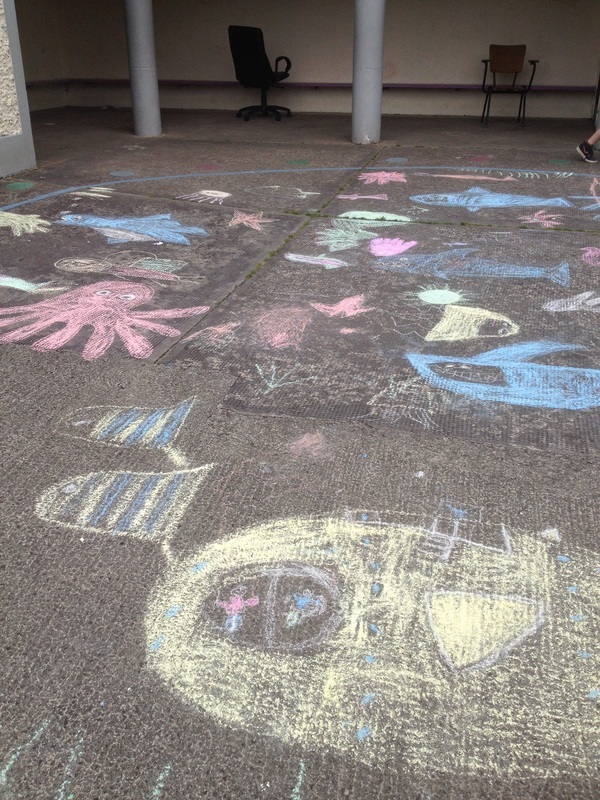 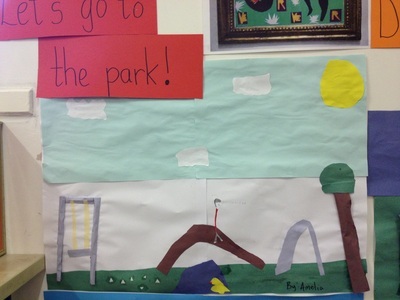 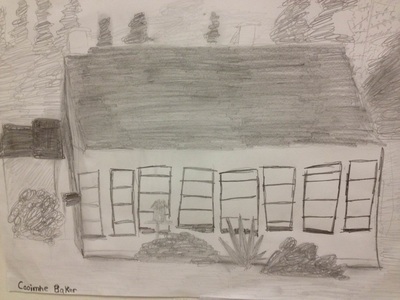 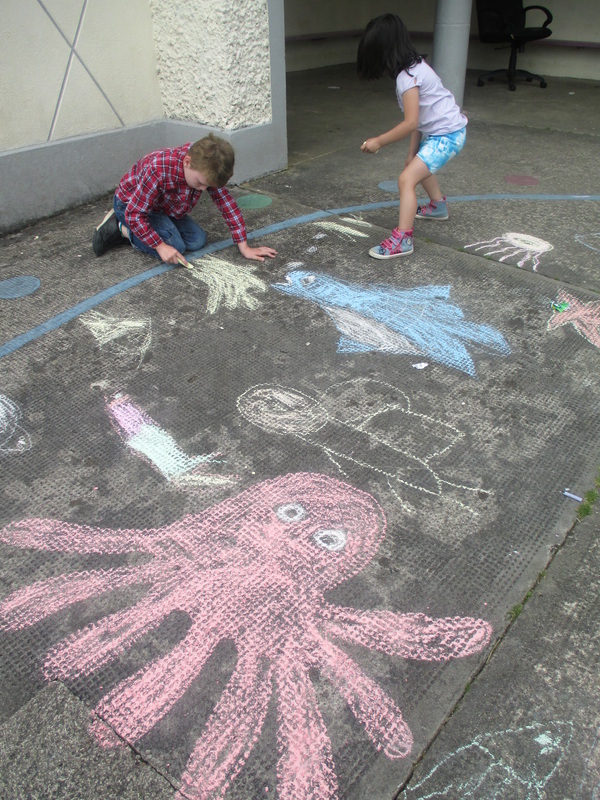 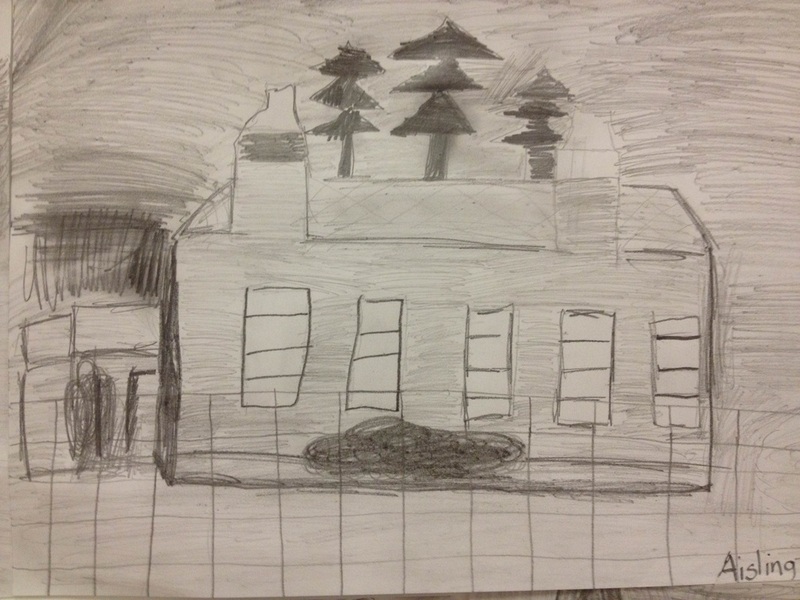 Ms Carey's class drew our school! 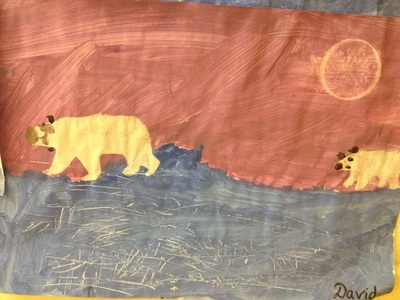 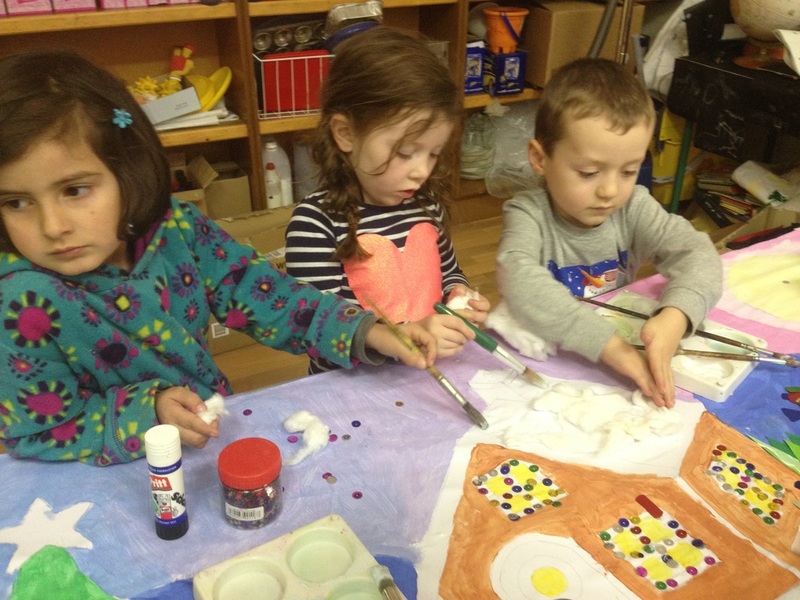 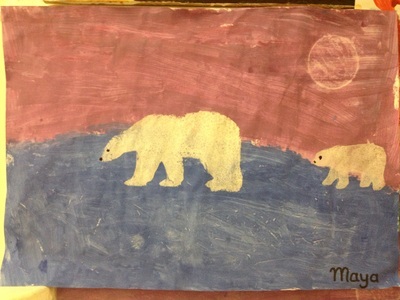 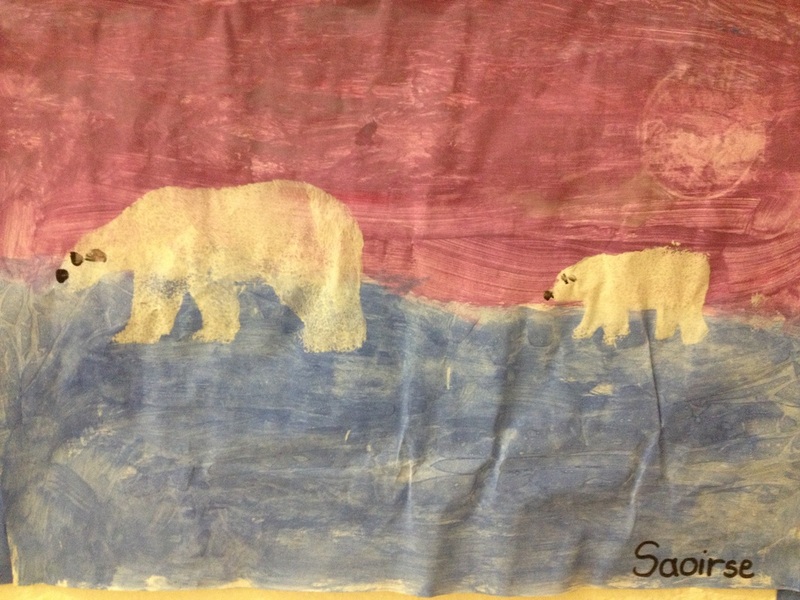 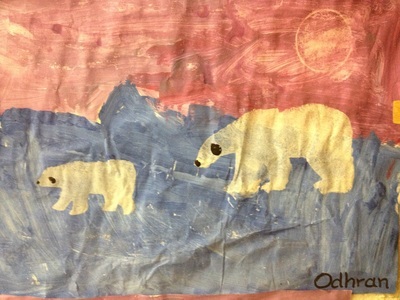 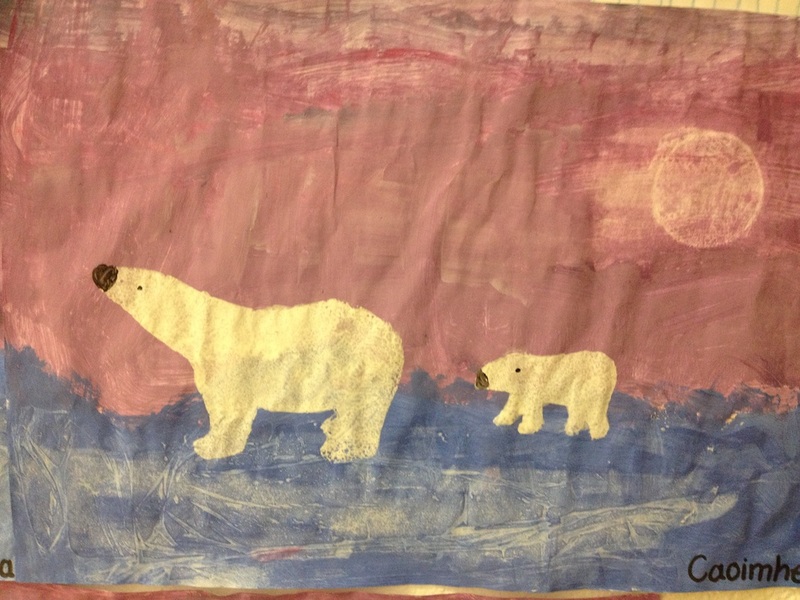 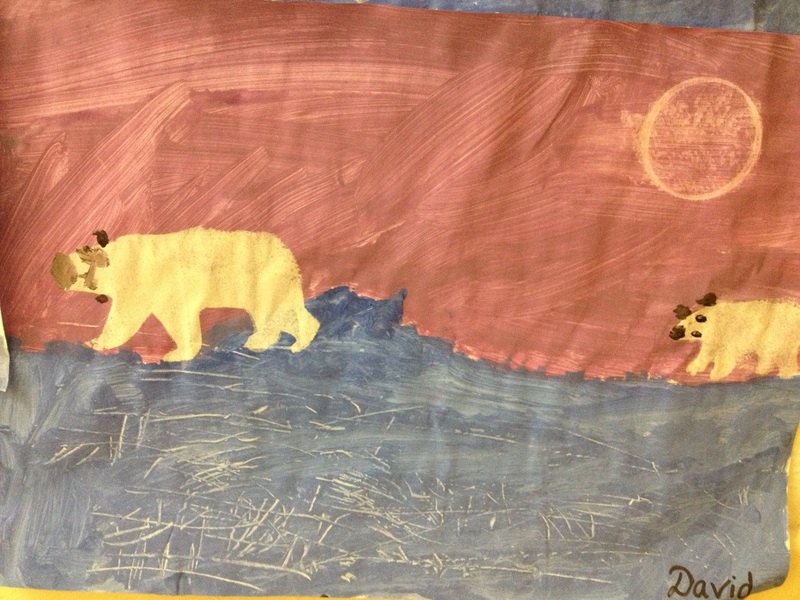 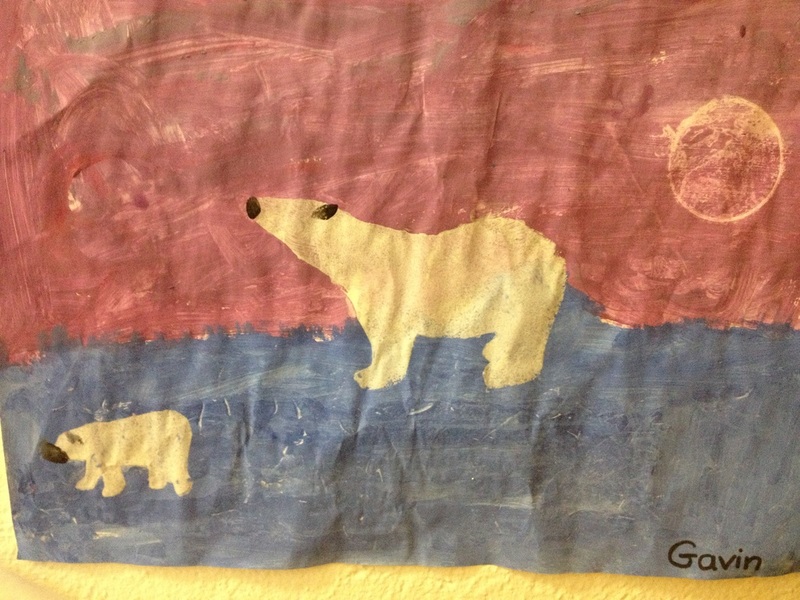 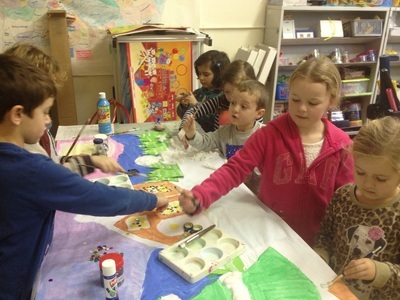 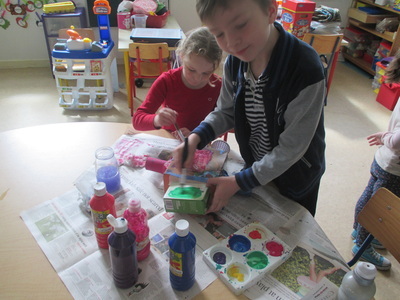 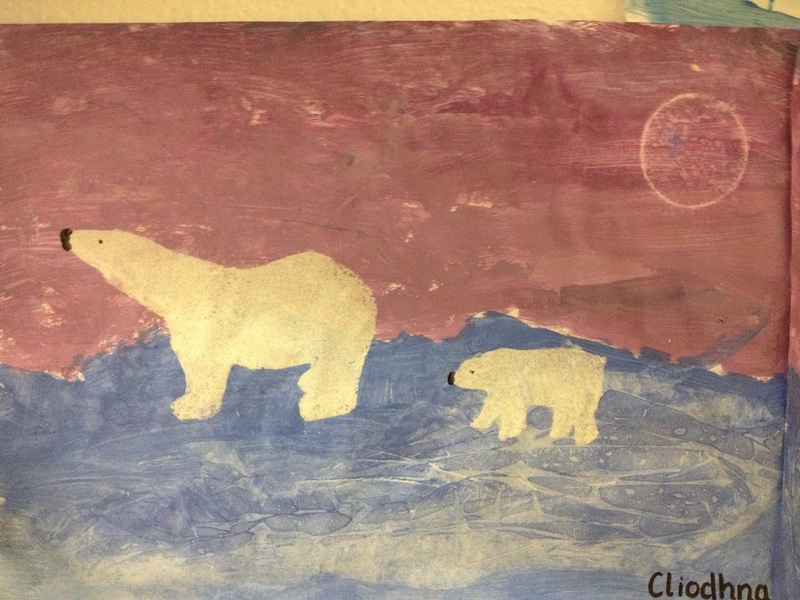 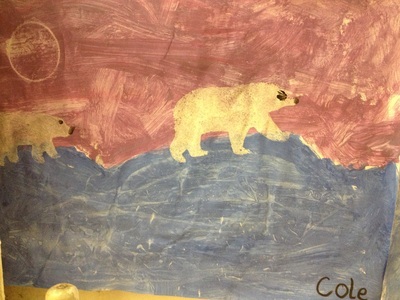 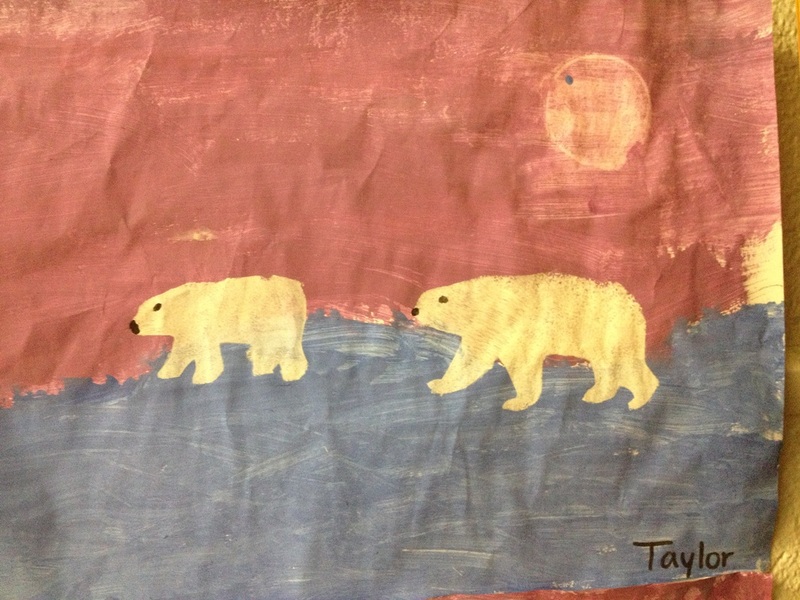 The Junior classes painted Arctic scenes! 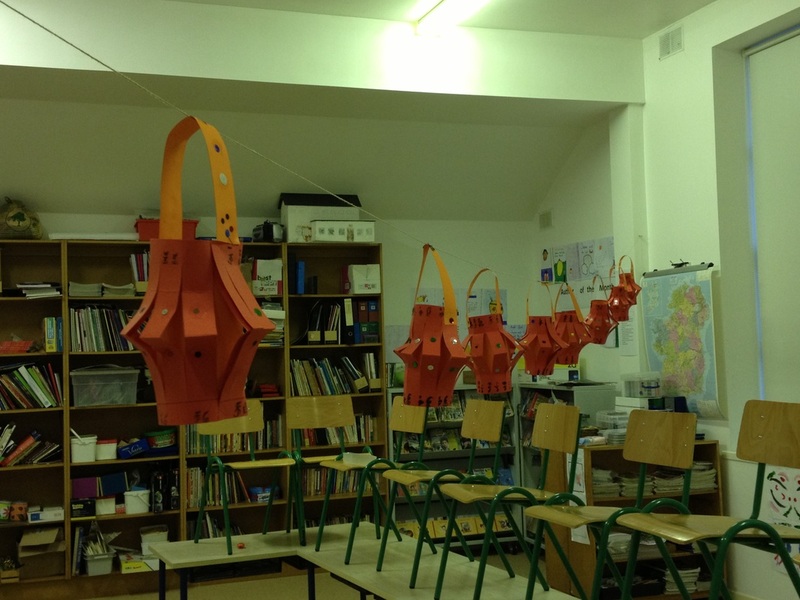 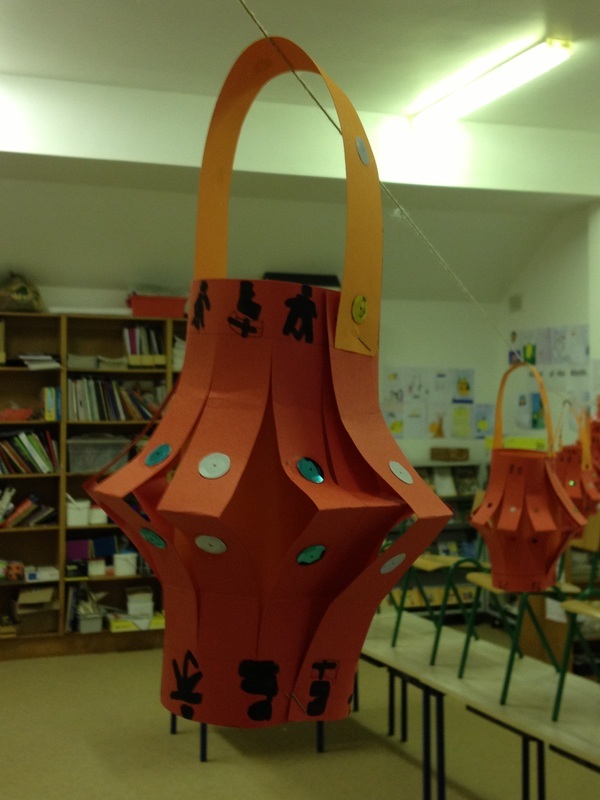 After learning about Chinese New Year, the senior classes made Chinese lanterns. 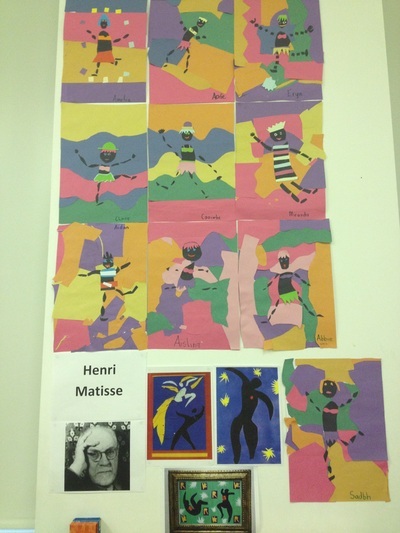 The Senior Classes studied the life and work of Henri Matisse. 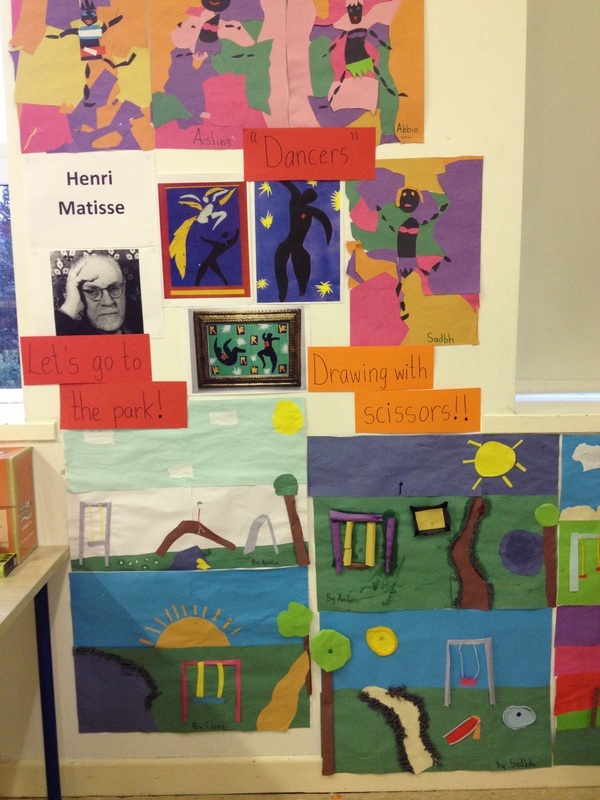 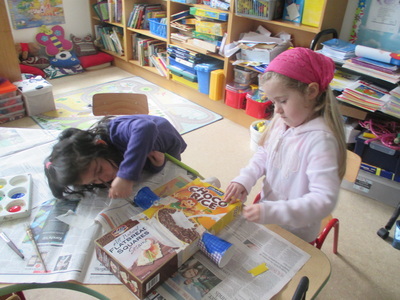 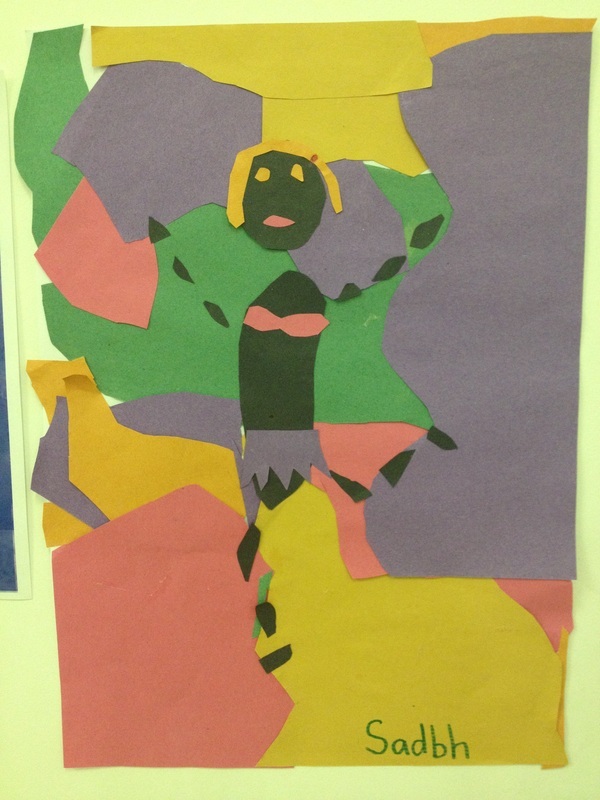 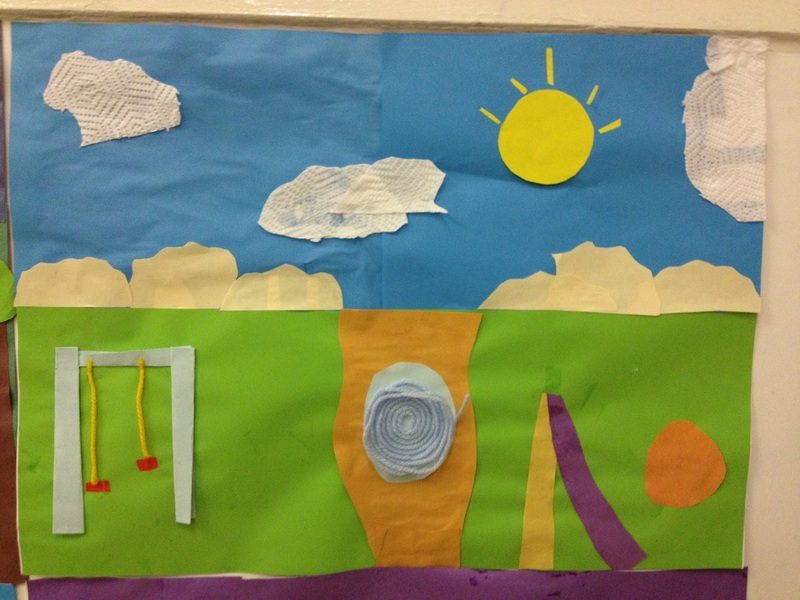 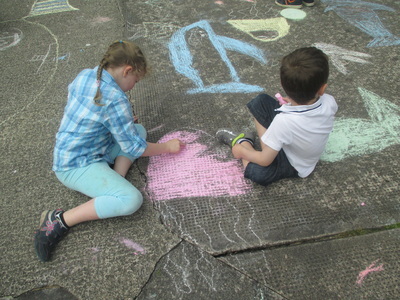 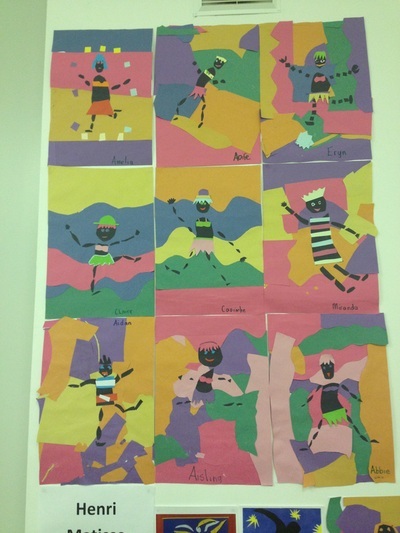 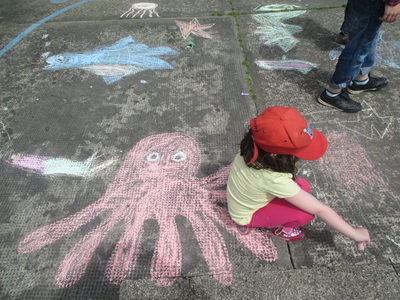 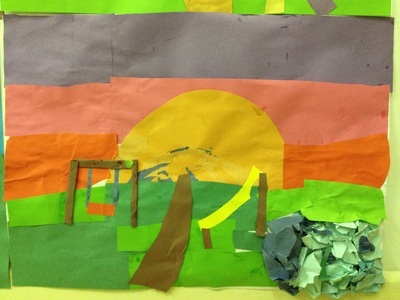 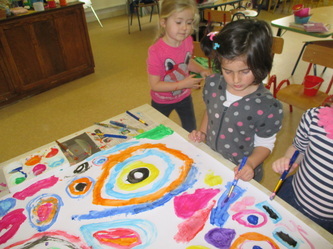 They then created their own Henri Matisse inspired works of art! 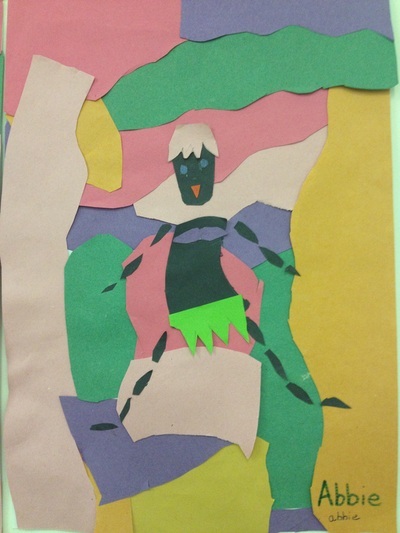 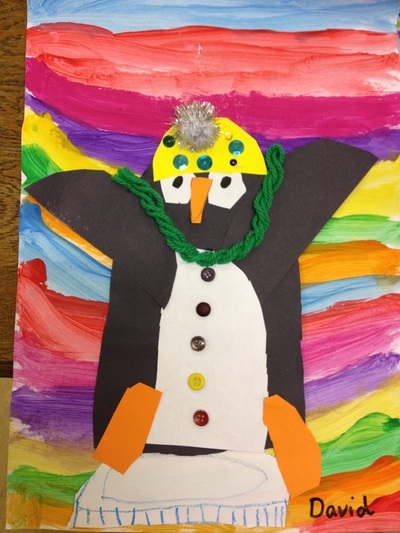 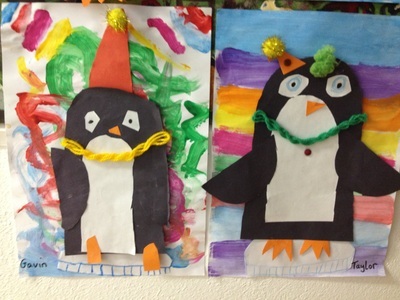 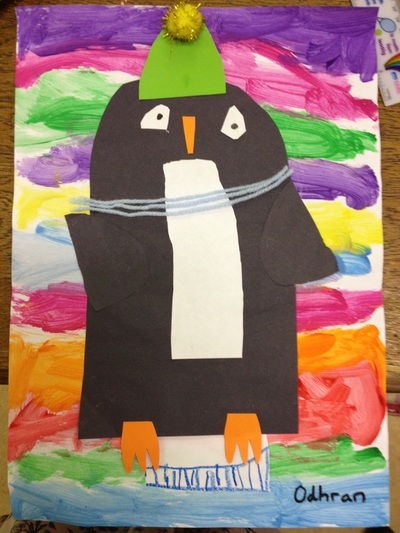 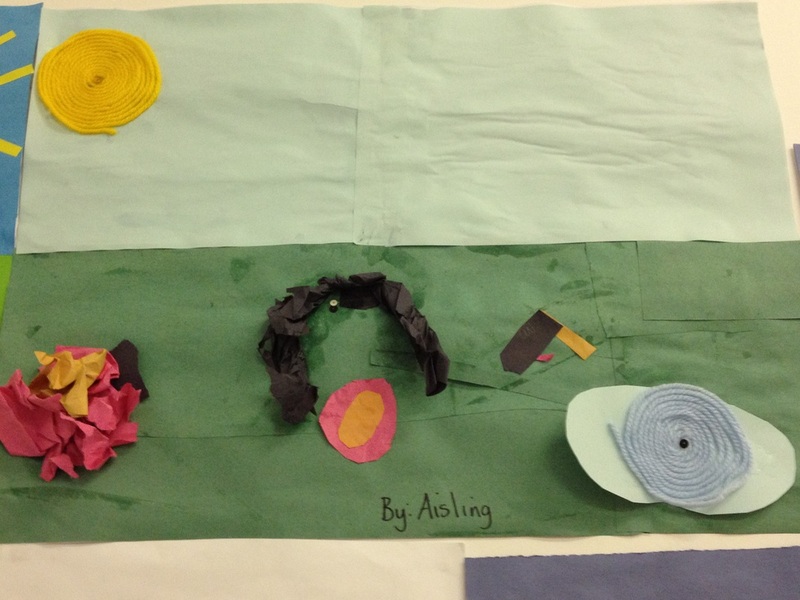 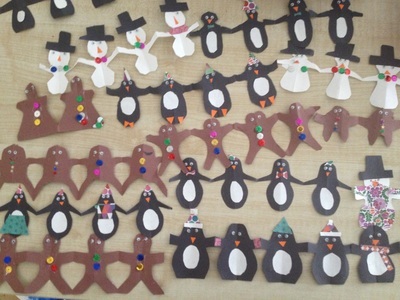 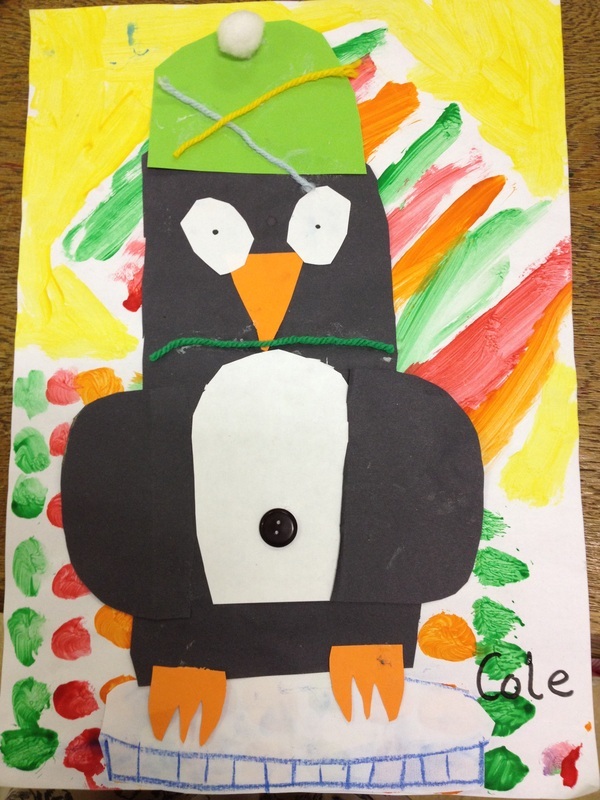 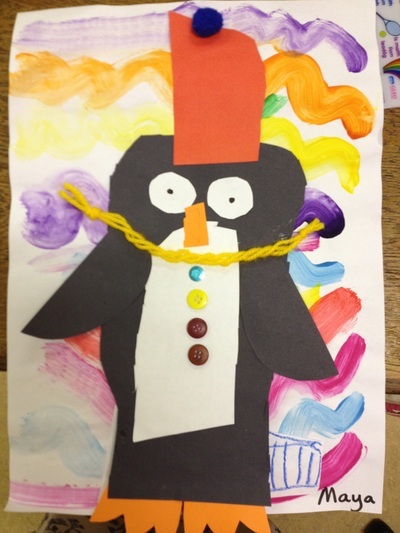 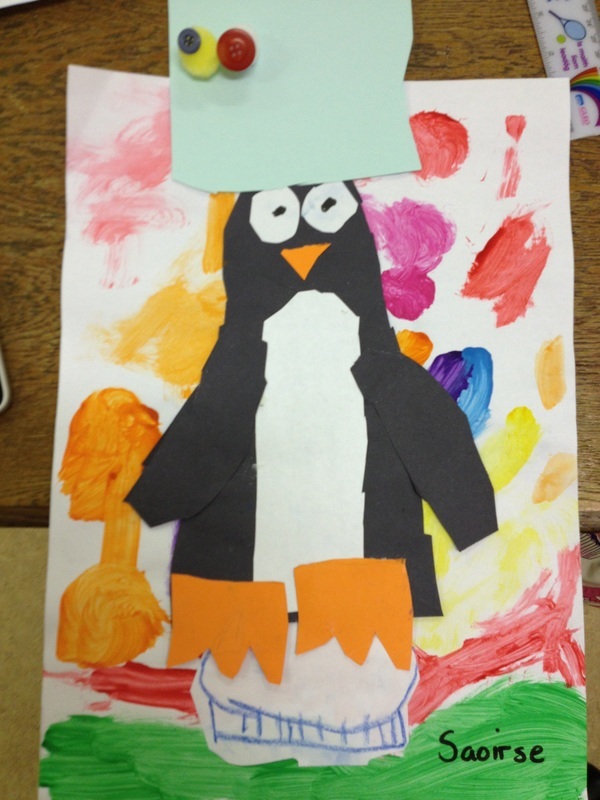 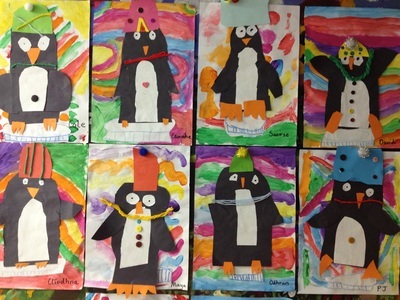 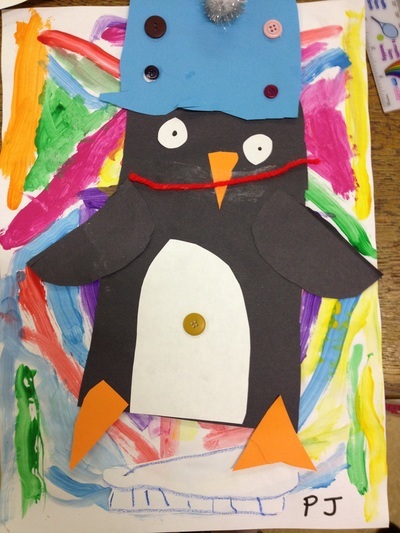 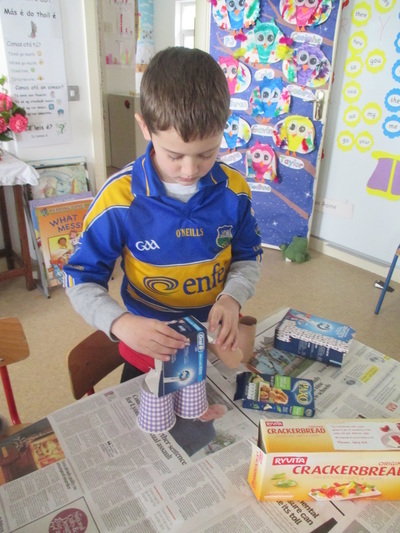 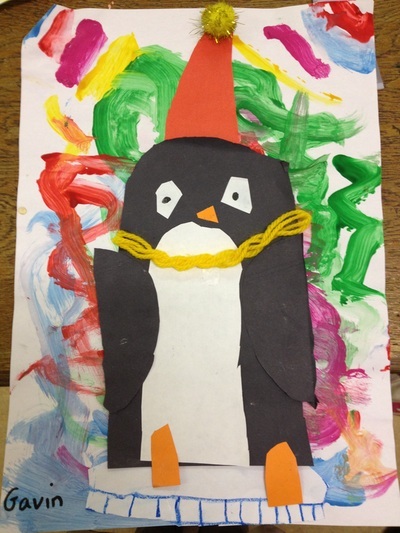 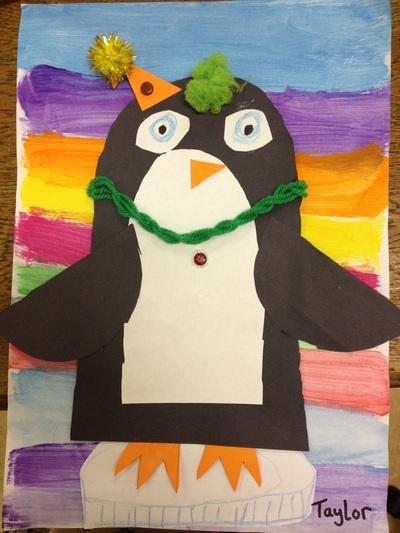 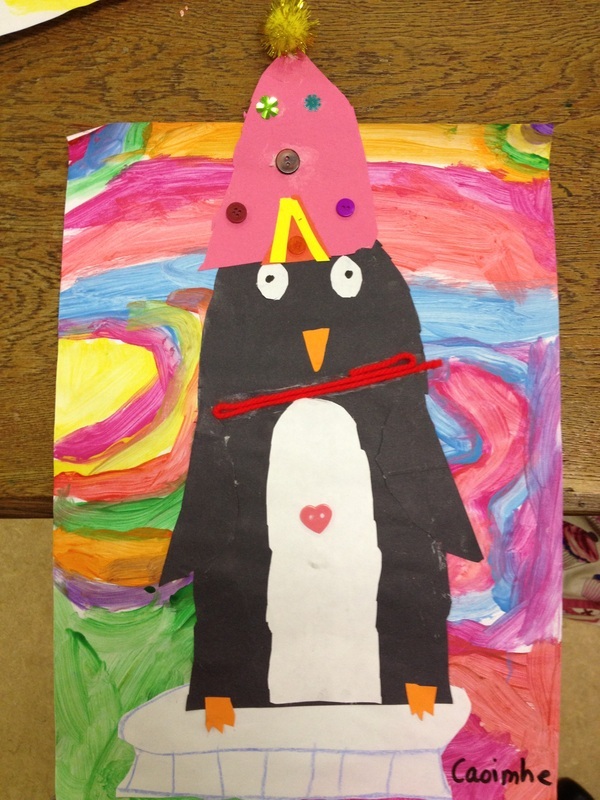 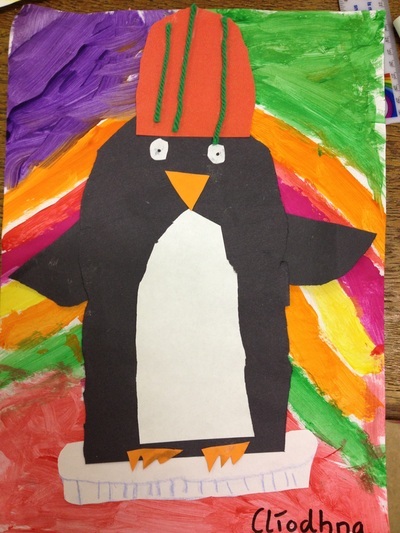 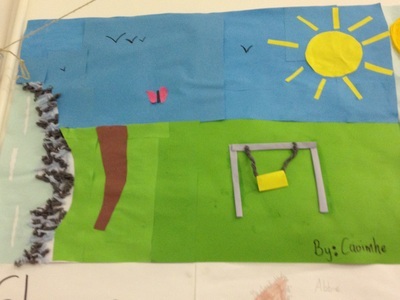 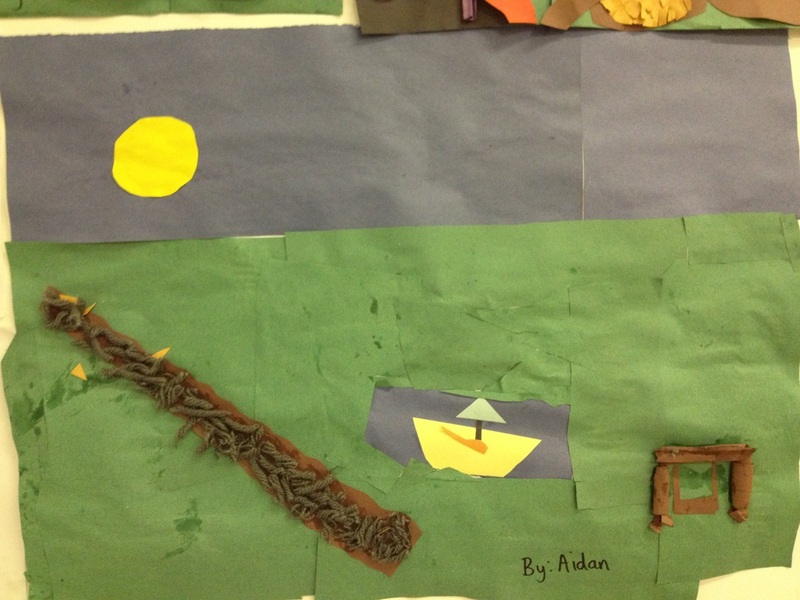 The Junior Classes read the story 'Tacky the Penguin' and made their own Tacky the Penguin using collage. 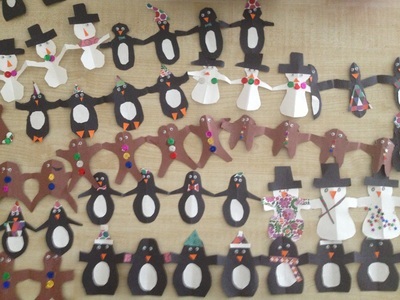 The senior classes get started on the Christmas decorations! 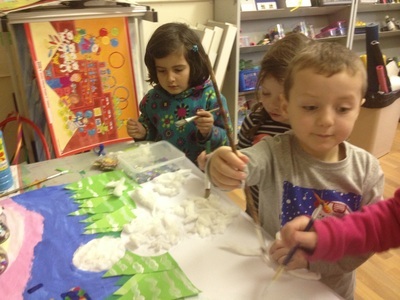 The Junior classes working on a Christmas scene. 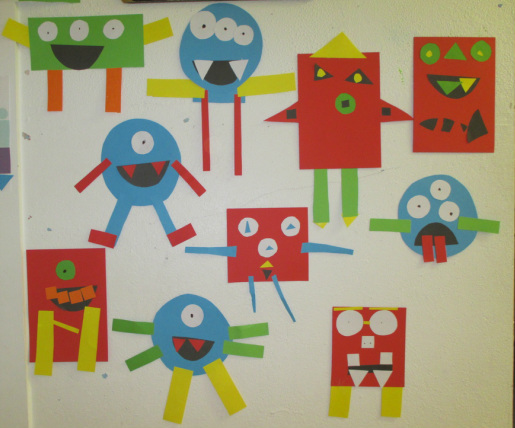 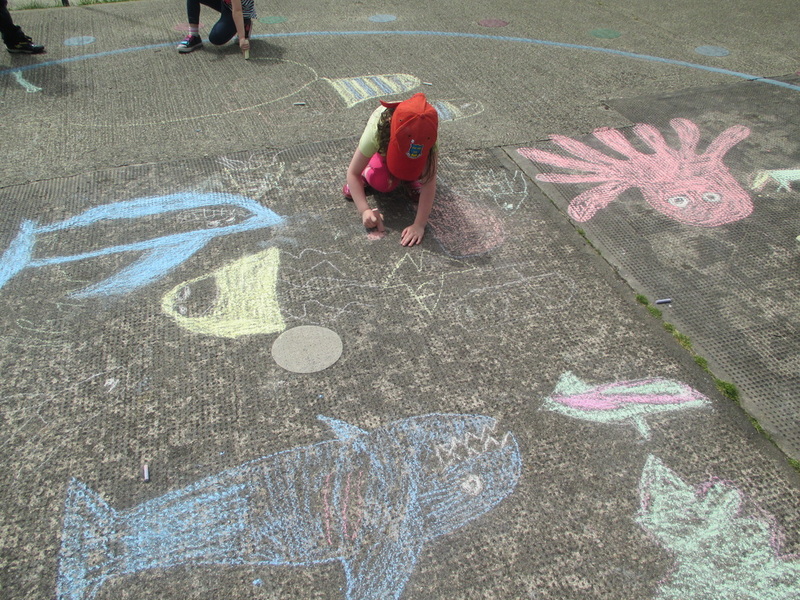 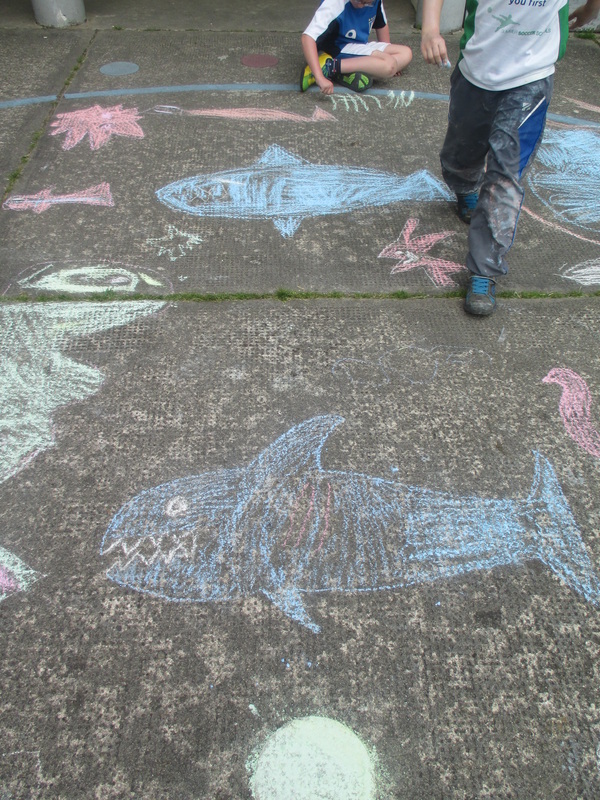 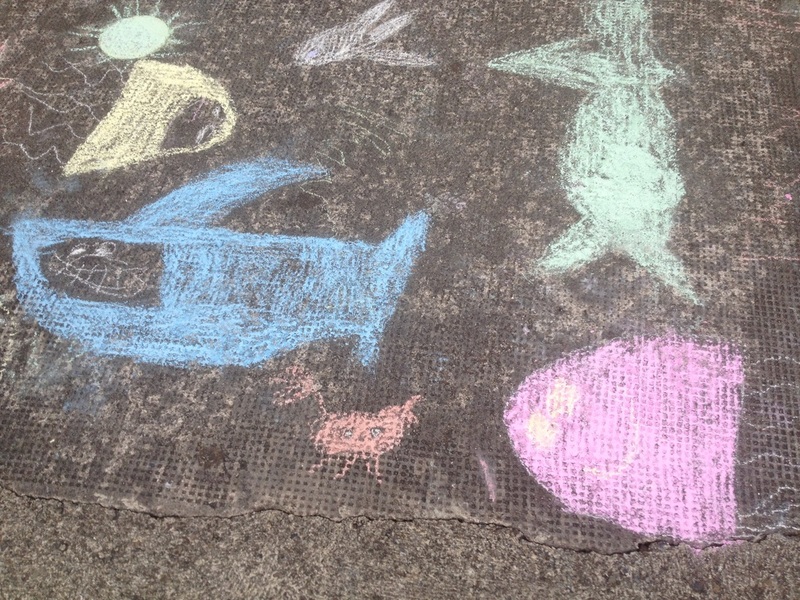 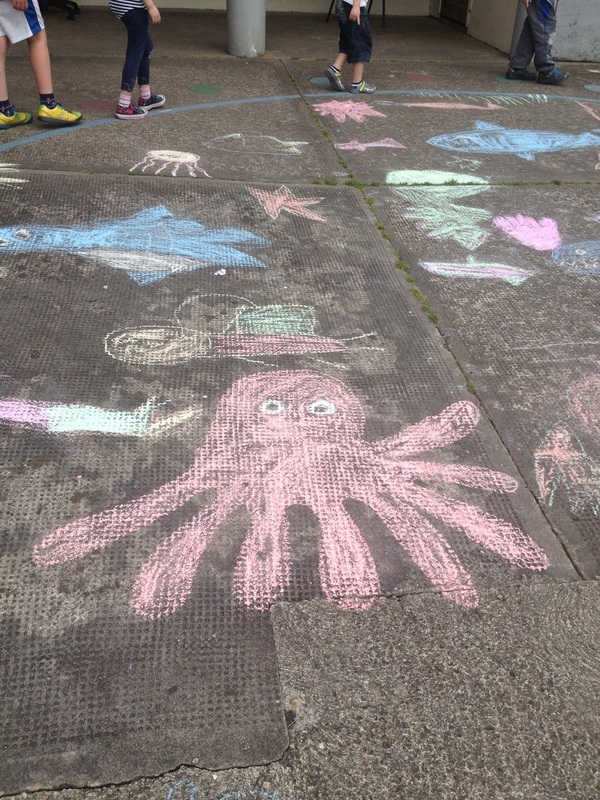 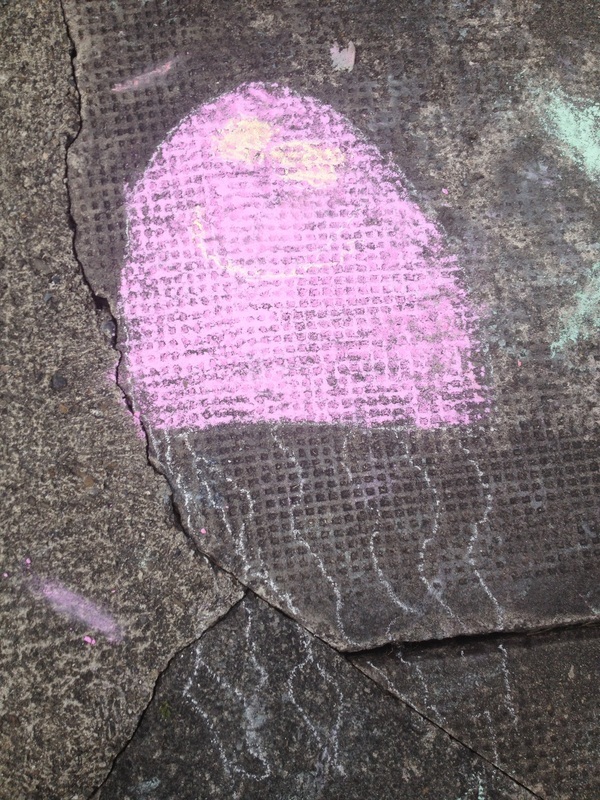 The Junior Class's 2D shape monsters. 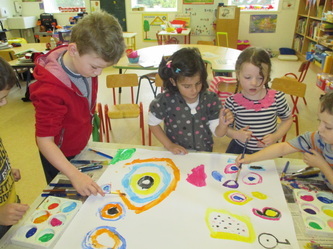 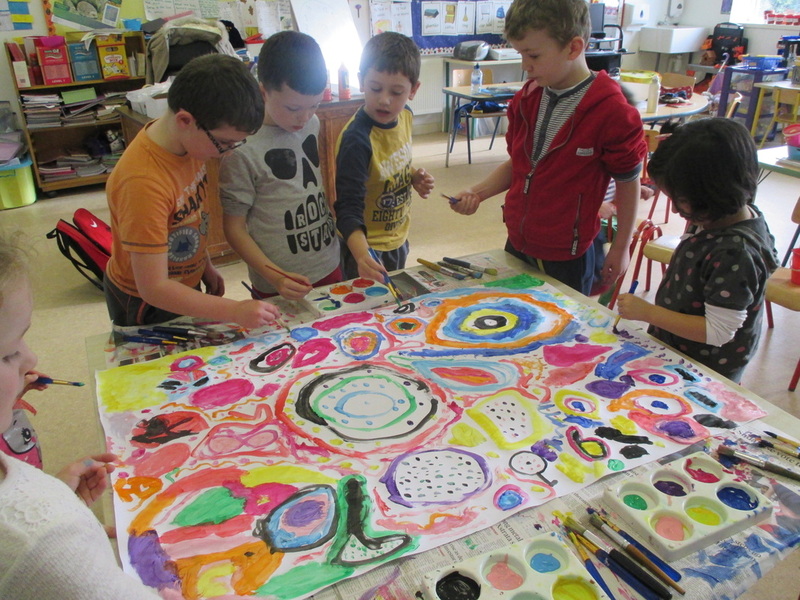 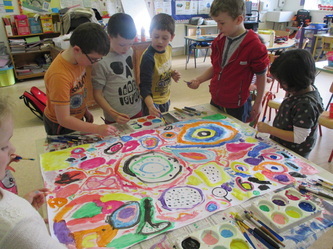 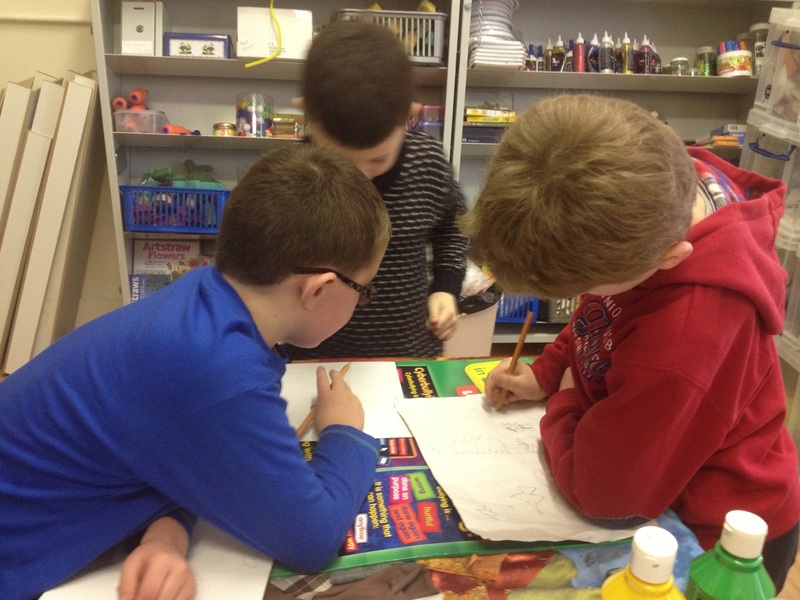 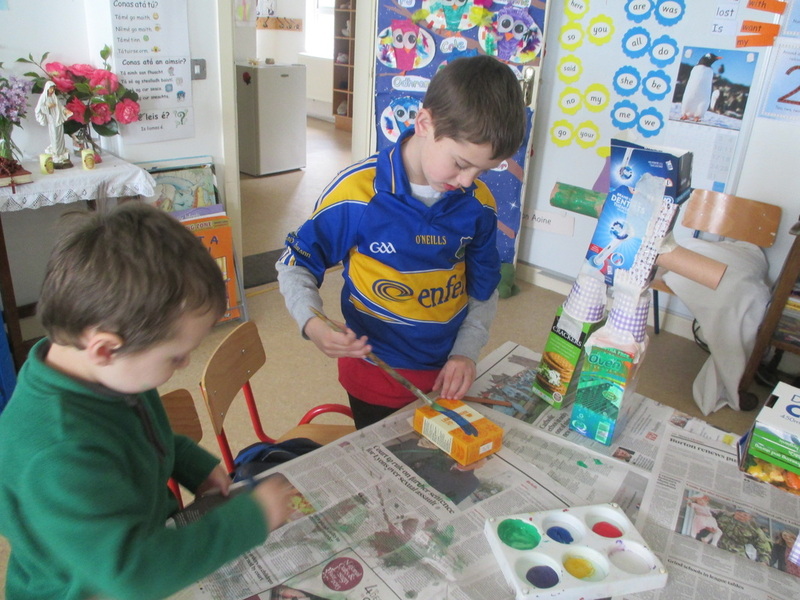 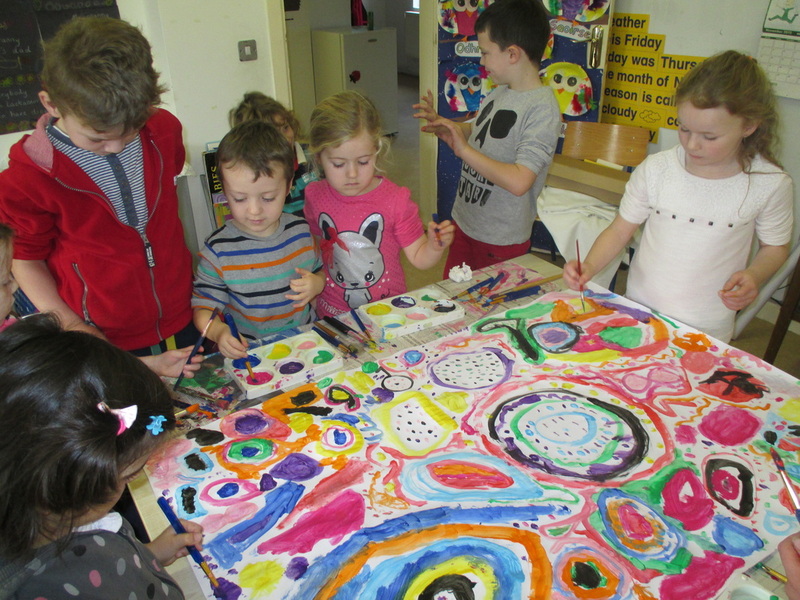 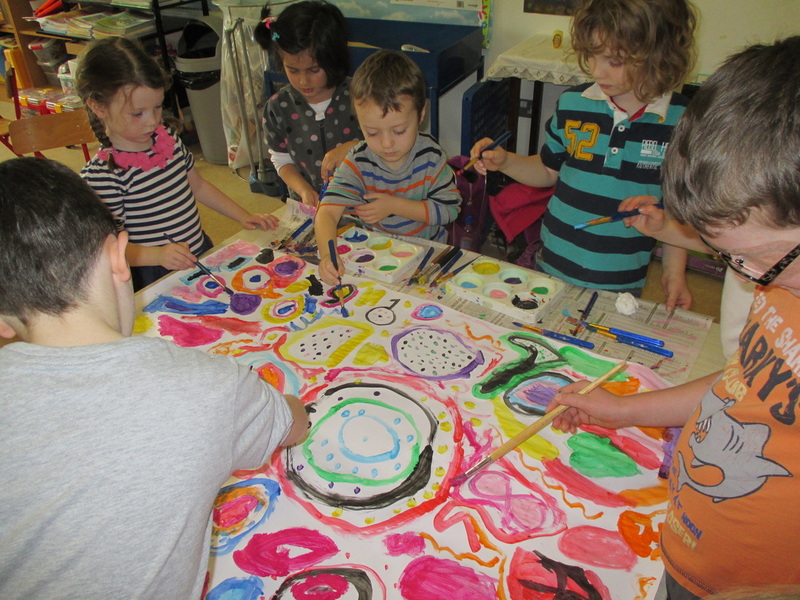 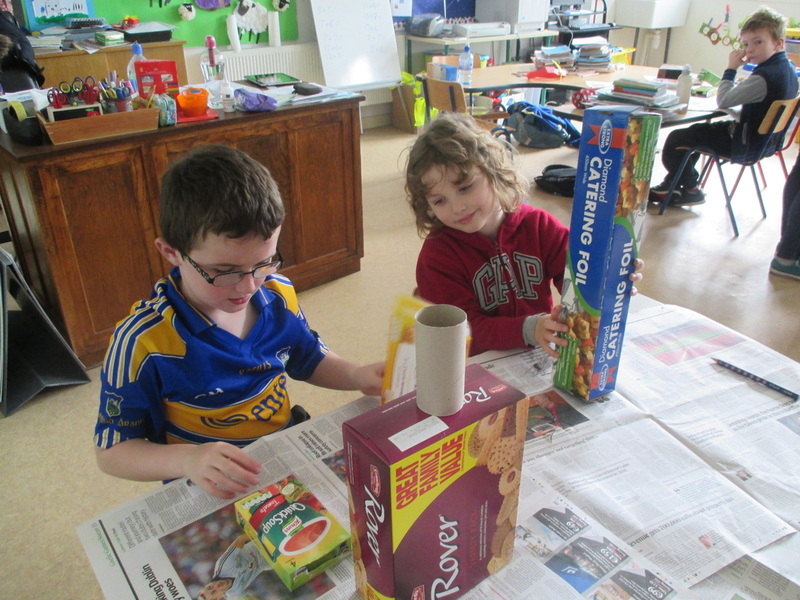 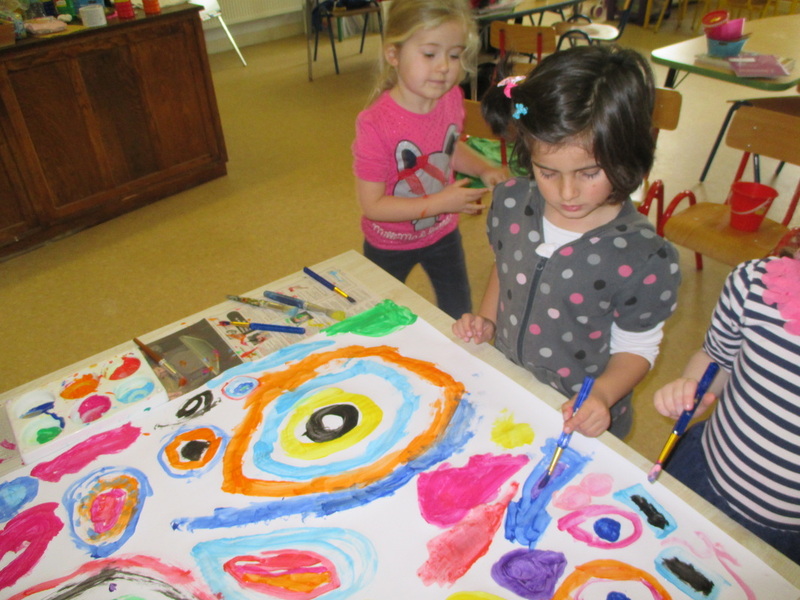 Juniors to Second Class experiment with some collaborative painting! 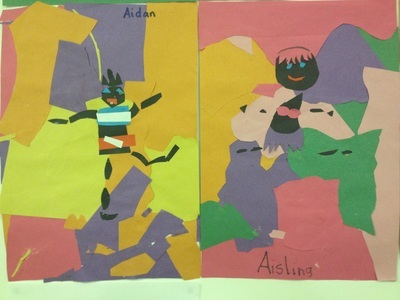 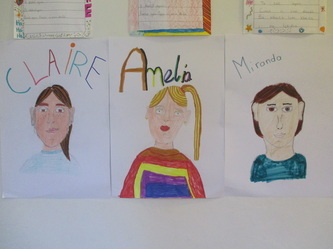 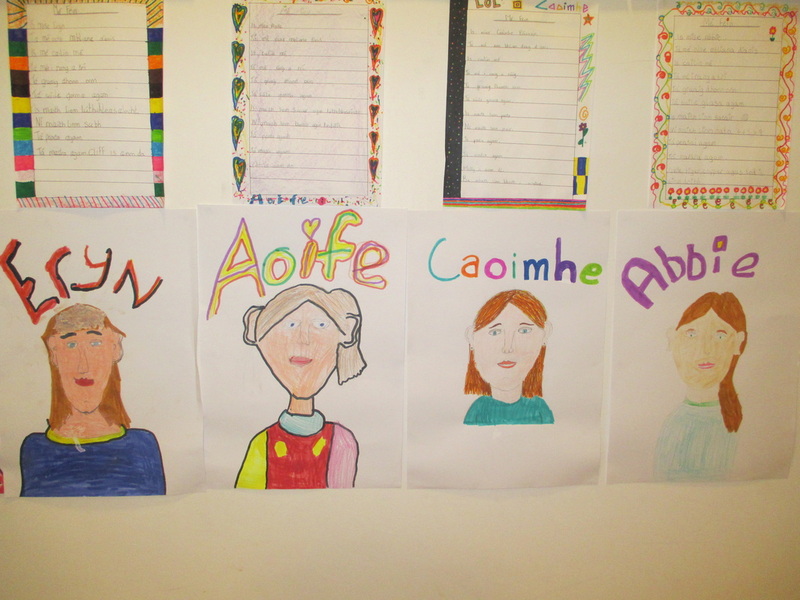 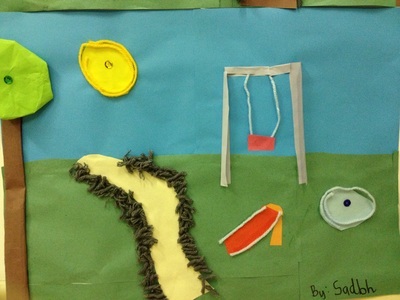 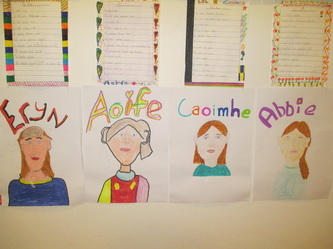 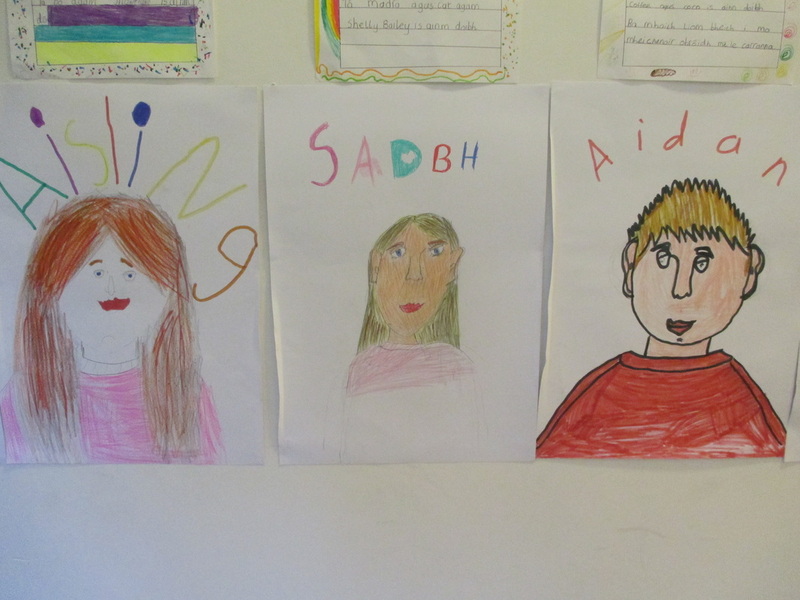 3rd to 5th class's self portraits. 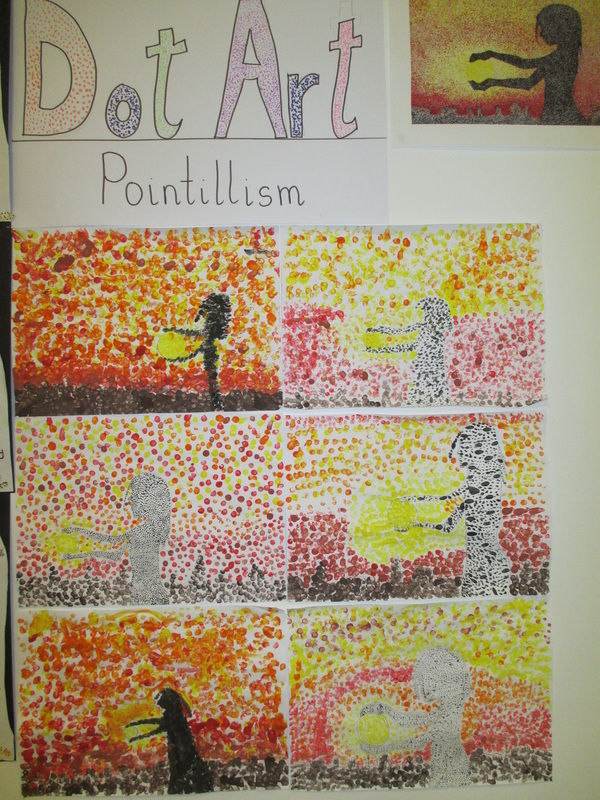 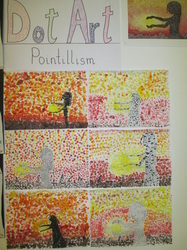 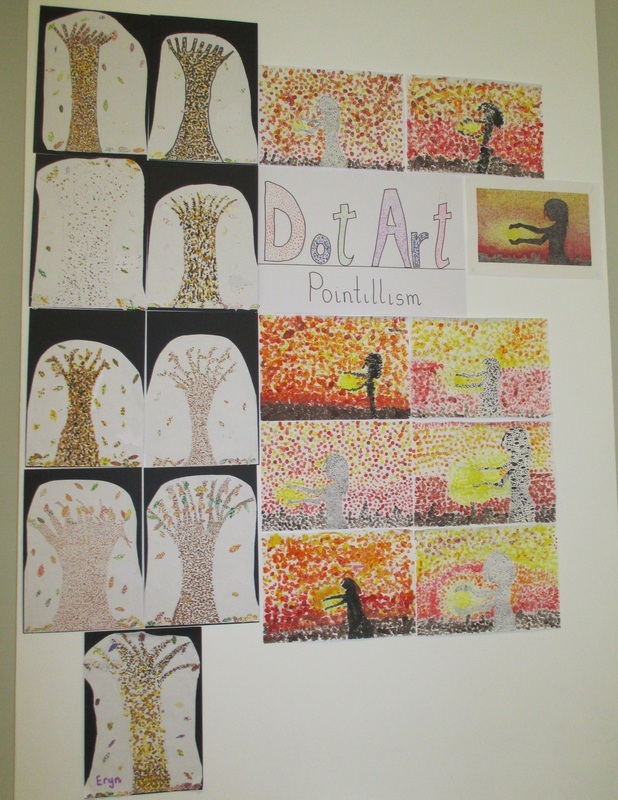 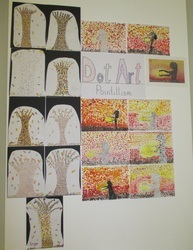 The senior classes explored pointillism.